Welcome to the Ninety Seventh Edition of the Owen Guns Bulletin. 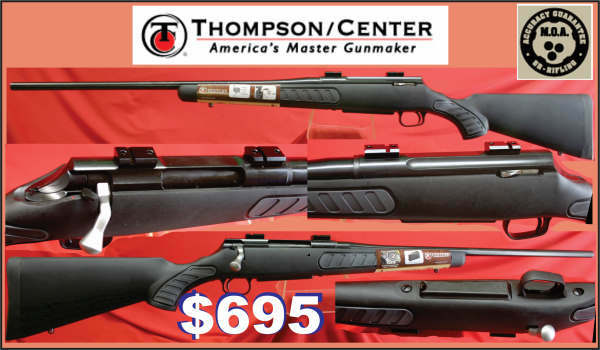 STOP PRESS Classified Guns for Sale – ADVERTISE YOUR GUNs HERE. Selling guns so fast than we cannot photograph them and get them up there quick enough. We need yours to sell on Electronic Classifieds! 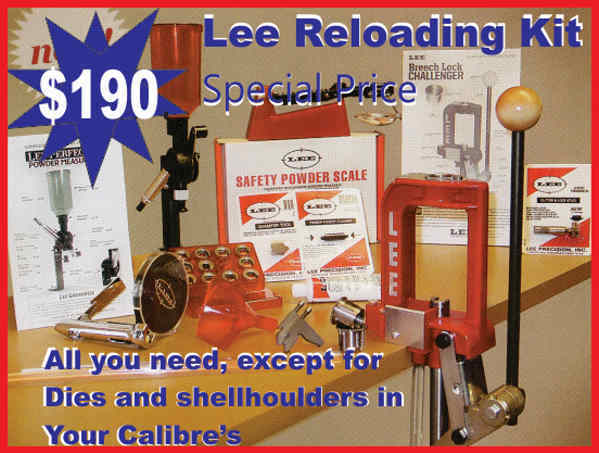 Only $10.00 and you can place three photo’s of your firearm. Our New Regional Shooting Complex. Please, accept my thanks to all ‘The Working Warriors’, who put in a submission to the Gympie Council against the Track and Trail Management Plan and supported the Multi Disciplined Shooting Complex. The great response was so impressive, it was humbling in a great way to finally see what was possible from firearm owners via the power of electronic communication. We only found out about it a week before the cut off date, yet when the Cooloola Range Complex Association Inc attended a meeting with the Acting Mayor and CEO they admitted that they had received over 300 objections to the plan. That made them do a complete body swerve and they are issuing a document to state that, that part of the plan is incorrect and have initiated another feasability study on the same site to report on the feasability of the Shooting Complex. When the Council say that there was over 300 submissions, from previous experience we know that there more than likely would be nearly 400 submissions, as the CEO was not a happy chappy and they are not known for counting correctly. When they can lose 70 million dollars and find it again, the truth and public servants seem always to be strangers. If you don’t mind ,we will call you, all again when we need supportive submissions for the Shooting Complex feasability plan. As the forces against us, though wounded will re-group and are moving heaven and earth within the State public service and Local Government public service to prevent this from happening. Our only ‘Ace’, is the numbers of shooters in South East Queensland and our ability to respond. Those responses are burnt into the brain of all elected representatives, who can if energised enough control those radical greenie elements within the public service. Already a 16 year or so battle, hopefully our children will be the beneficiaries. Again, thank you all who helped. Queensland Big Boar Hunting Championships 2014 Gympie, $20,000. worth of Prizes for Biggest Pig, Largest Tusk, Longest Tail, Largest Pigs Ear, the most pigs by weight, Individual and Two person Team prizes. Only Two Days to go Nominate in Australia’s Largest Prize Hunt. The Firearm Trade and many local businesses have donated over $20,000. of prizes for this event. This event is very important for three reasons, One to relieve the pressure of Feral Pigs on Queensland’s Primary Producers, Two to Raise much Money for The Wandering Warriors, SAS (Queensland) for Veterans and their families, Three and not the least is to prove to the State Government that Recreational Hunting can solve their problems with Feral animals and so open Queensland Public Land to Hunting.Government, puts the Feral Pig Population at 25 million (the man counting might have missed a few, hundred thousand) and at a minimal increase per annum of 1 to 1.7 next year it could be 50 million and the year after 100 million. So something sensible has to be done to prevent Australia being turned into a pig desert. Open Afternoon Trade Displays. Queensland Big Boar Hunting Championships 2014 Gympie. On Sunday the 26th at the Weigh In. (close of the weigh in will be at 4 pm) then the Prize giving. 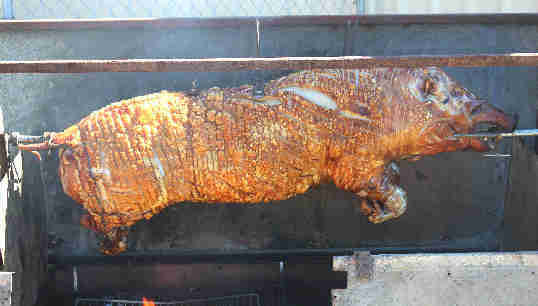 During that time a 60 kg Pig will be cooking on a spit, Pig and cooking donated by GJ Pigs. Cakes, and other delectable foods will be on sale. Displays from Trade suppliers who have donated the Prizes will be showing of their goods. We have to show the government of Queensland that like Victoria (who assesses the interstate income from Hunting at $430 million a year) and NSW are not wrong. That Queensland can benefit greatly. To do this we need thousands of Hunters nominating from all over our State and we need many hundreds of Feral Pigs at the weigh in to claim their prizes. Help us open the door for hunting on public land. Hunt Feral Pigs on any land where you have permission to hunt. There total membership would have elbow room in a Mini Minor, but for some insane reason they have the ear of the sensationalist loving press. If we had not worked hard and put hundreds of submissions into this enquiry we would not have a chance at retaining our rights to own our firearm property. Campaign to End ‘Permits To Acquire’, in Queensland. Please keep an eye out for the next critical Parliamentary E Petition as it will point out to the members of the House of Representatives that Queensland Police are creating impositions on Firearm Owners above and beyond the requirements of the Weapons Act 1990 and asks Parliament to instruct the Queensland Police to use Section 35 (1) ( c) as parliament originally intended, allowing the sale of firearms to those who have a lawful excuse, which is their Queensland shooters licence in the required category. If you have a licence without the required category, you will still be able to apply for a Permit To Acquire a firearm in the category that you have not got on your licence, but have another lawful excuse that might need the QPS to interpret. 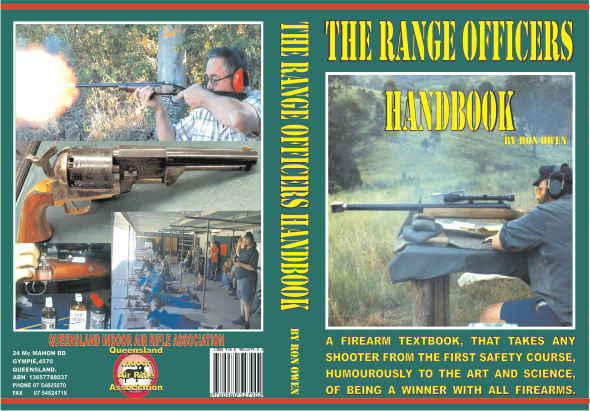 No longer should the Queensland Police impose both systems on Queensland’s Law abiding, Licenced Shooters. Win, lose, or draw I would like to thank, David Gibson a one in a million, brave Member of Parliament, for sponsoring this petition. The least we can do is to get thousands of petitioners to sign it. If every licensed shooter who has moaned with sorrow, due to the imposition of the $34.00, or the long wait, or the ridiculously repetitive paperwork spend three minutes signing this E-petition, we have good chance at making a change for the better. If the police minimised figures for registered firearms in Queensland are correct at a tiny 600,000 then this petition could alarm and awaken the parliament to how many voters over 18 years of age, use firearms. The elected members are doing private surveys at present to rate their chances and collate the issues they are going to run on. They know that the election next year will make huge changes to the benches, far more independents will be elected, more than likely there could be a minority government. So, to win our votes we have to let them know that we are a force. 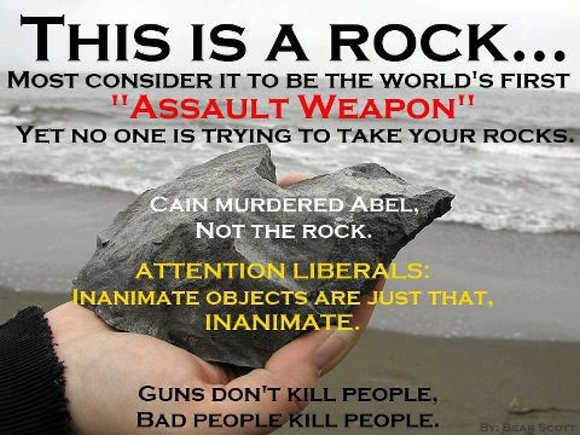 So on this one we need action. I will send a direct link to it as soon as we have one. Please ask your local Shooting Range and Gun shop to display the E-petition website address and remind their customers to petition. Art work and exact website address will be coming soon. PS. It not here as YET, but soon watch out for it here. 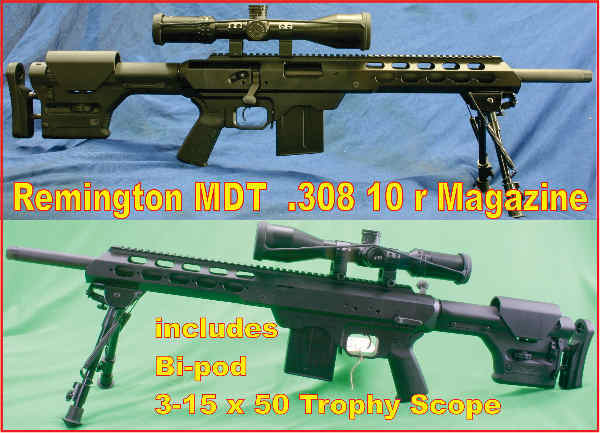 For the latest Design features and accuracy Thompson/Centre Venture have won a huge reputation, they guarantee to shoot within 1 inch moa. 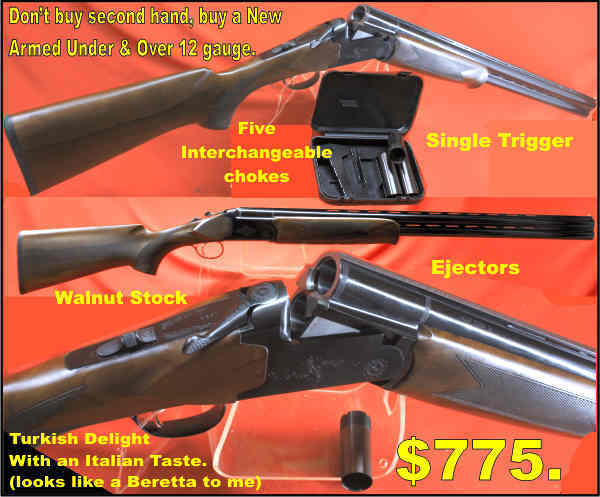 We have these in most calibres but unfortunately when we replace this stock the new price will shock everyone. $695. while they last. 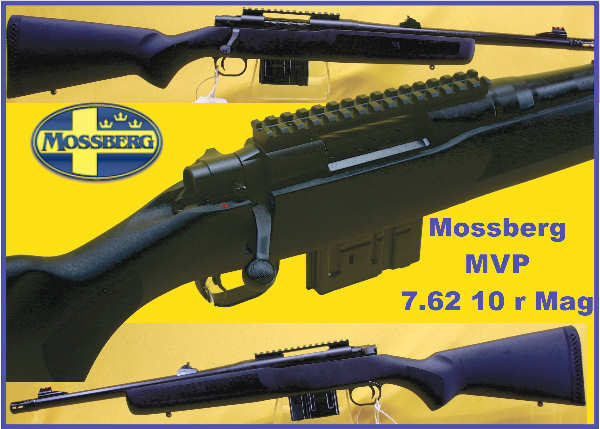 Mossberg Bolt Action Rifle, $470. 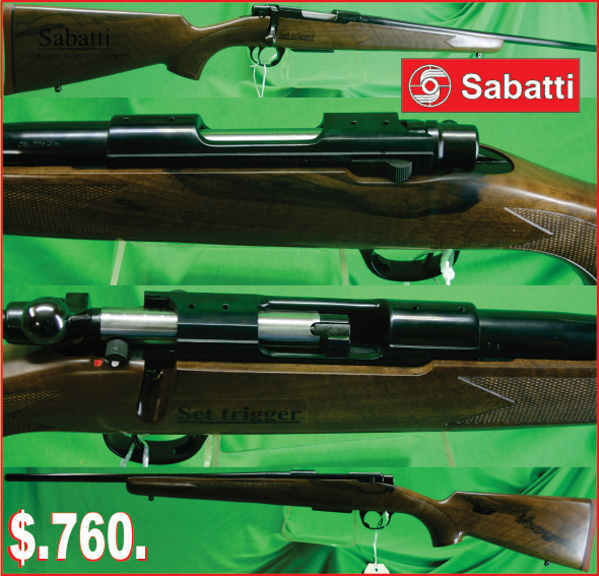 These new rifles are cheaper than many second hand rifles in the same bracket. Internal 4 round magazine. 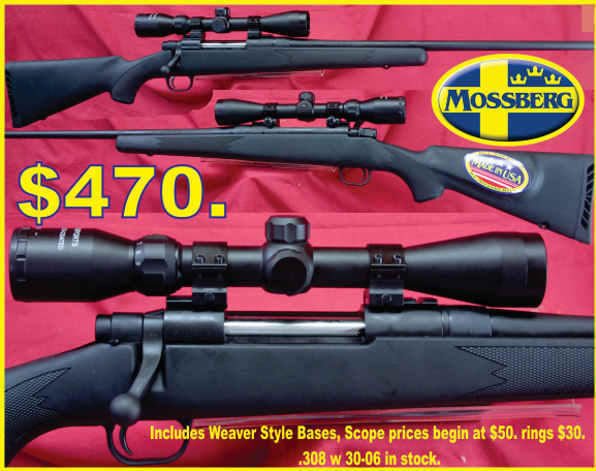 Ideal for Pigs and Deer, come with Scope bases rings and scope are optional extras.